I am safely back in Hong Kong, I have been to the Wudangshan (Mountain) for a few weeks. There I stayed for training and meditating purposes. I have met Zhangran my good friend from Shandong and this time with a girlfriend and her cousin. 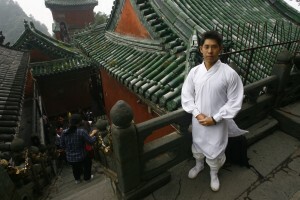 I haven’t seen him for 2 years now, I have known him as a Wudang kungfu practitioner back in Holland. We had a very good time together. I know, sorry guys it’s been a long long time for my blog. As you might know, Facebook is blocked within mainland China. There they use their own social platforms. The place I was living was a small village in Wudang Mountain, so internet is not always guaranteed. I have risking my life recording video for my Youtube channel, and also took lots of pictures which I’ll be uploading soon.. I am really excited to see the rest of the photos which are taken by others, when I get them I will then share with you too. 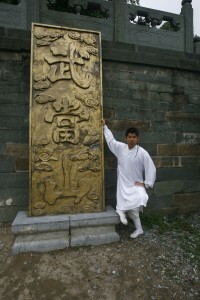 If you had checked my gallery you could see the photos I already had uploaded in my Wudang trip album. Really nice pictures, beautiful scenery just like a painting. Wudang mountain, a wonderful place. To me, this is a destiny trip. It gives me a special feeling, awareness and the things happening are so round. I can say it is one of the best trips I have experienced. I have met a lot of people, and seen lot of things, it was fun everyday or better saying made fun everyday. Living a simple life, the contrast between Hong Kong city and Wudangshan from a foreigner.